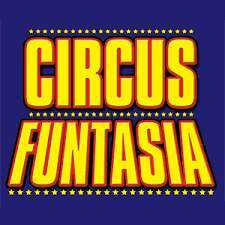 "TUESDAY 19TH AND THURSDAY 21ST ALL SERVICE WORKERS AND THEIR FAMILIES CAN SEE CIRCUS FUNTASIA FOR FREE!! This includes all NHS staff, police, fire service and armed forces (police) ♂️✈️⚕️that's a FREE FAMILY TICKET (4 people!) With any valid ID card!! Please share this post  "